Harare – In an episode resembling the Anima Farm – in which other animals are more equal than others – comedienne Felistus Maruta aka Mai Titi faces prosecution for revealing that her ex-husband allegedly infected her with HIV. While the comedy magnet is up for a possible suit from her ex, Deputy Finance minister Terrence Mukupe still roams free, even though he insulted Tendai Biti of the MDC Alliance opposition formation live on radio and torching an HIV stigmatisation storm. 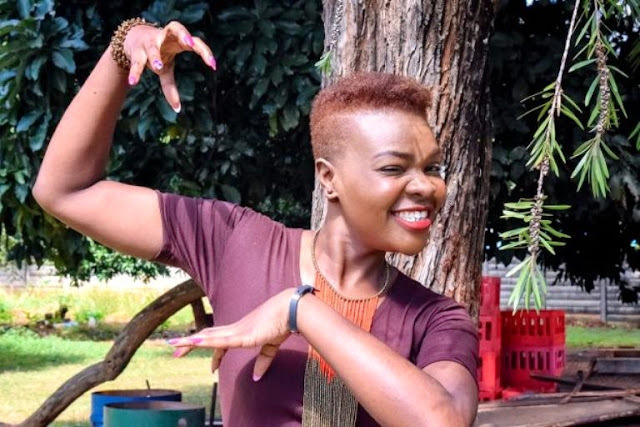 In an a highly-charged emotional video on Facebook, Mai Titi poured her heart out, following provocation instituted with photos of her former hubby’s wedding to a new wife. “I later discovered that this guy was not well health wise, something that he never told me. I asked him and we sat down with his family but all he could say was he was sorry and he had not told me because he was scared I would leave him. “I was very bitter and my family was very bitter. I reported him to the police but he begged me (for mercy) and I dropped the charges. For someone who cannot even take care of his child to send me pictures of him and his new wife wearing matching outfits is absurd. “This man has hurt me and is still trying to hurt me. This is his fourth wife and I doubt if she knows his HIV status,” said Mai Titi. Though Mai Titi insists she is unmoved by the effects of her statement, lawyers say her actions were illegal. “There is no legal protection here. The ex-husband should approach the police and lodge his complaint. It is legally wrong for her to disclose someone’s HIV status on a public forum without evidence, proof or consent from the person she was accusing. “Under these circumstances, the ex-husband should institute civil proceedings and if he goes a step further, criminal charges,” Tawanda Takaendesa a lawyer revealed. The fiery exchange between Biti and Mukupe nearly turned violent after the later was called a drunkard and a clown. Days earlier, Mukupe had said that the ruling party did not wrestle power from Robert Mugabe to hand it over to the MDC Alliance, even if they win the 2018 elections. It added that Mukupe’s remarks could reflect government’s attitude towards HIV and Aids. “We believe the lack of appreciation of issues such as the impact of HIV and Aids on the socio-political landscape of the country generally drive the poor financing of the sector. Hon Mukupe, in this instance, personifies such failures.